Whether we like it or not, there is a truth about performance in a service provider organization: You can meet every contractual obligation and still have an upset customer! Today’s service providers, given the current economic climate, aren’t in a position to just lose customers over what they consider to be “insignificant issues.” They need to be just as concerned about operational efficiency as they are about customer satisfaction. 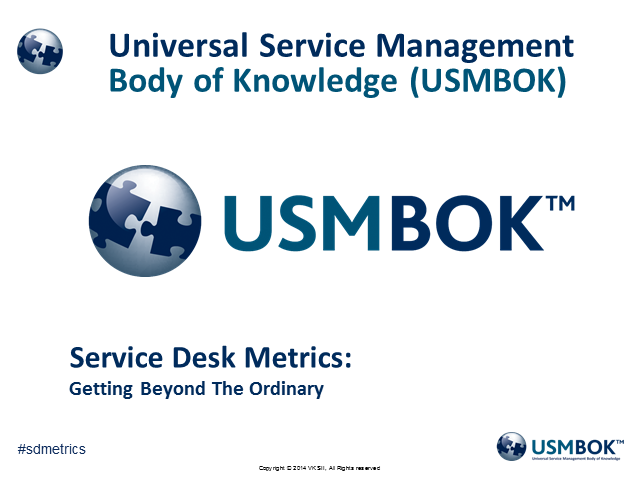 Unfortunately, most organizations are still selecting metrics based upon “best practices,” framework-specific recommendations or “the way that we’ve always done things around here.” It’s unlikely that any of these approaches are going to provide the right mix to give you the needed visibility or flexibility to move into the next evolution of your service desk. Please join us for this important session, where we will examine a new basis upon which to consider metrics and some concrete steps you can take to move your organization forward.